Autumn is here. Dark clouds are starting to tumble across the country, and temperatures are slowly decreasing. Now is the time to get your car ready for the adverse weather conditions coming up, and address the car issues that you’ve been putting off. You wouldn’t want to get stranded in the cold! We’ve made a quick guide for you to help keep your car in prime condition over autumn. Roads in autumn are bound to get more slippery as we expect more rain and potentially icy conditions. On top that the layers of dead leaves that trees will shed this autumn can add another layer of danger. 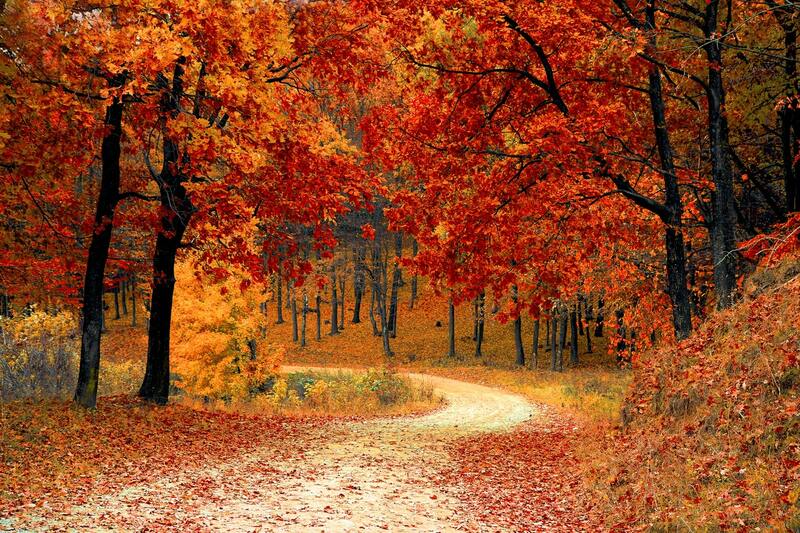 Whilst their red, gold and brown hues may look beautiful they can make roads way more slippery, and more dangerous to navigate. For that reason it’s important to make sure that your tyres are in good condition, especially if you did a lot of driving in the summer. Ensure your tyres do not have any cracks and check whether they’re inflated to the recommended level. Be sure to also check that there is sufficient tread on the tyres. The legal minimum tread is 1.6mm, so get them replaced straight away if your tyres are below this limit. For safety reasons it’s worth considering replacing them if they’re approaching the legal minimum, the tyre tread will help your car grip the road better. In the summer, due to changing weather conditions, the rubber on wiper blades can crack and get damaged. This small issue develops into a big problem when the rain starts to pour down. Check whether the wiper blades look dried out, or are brittle. If they are, then get them replaced. A sign that the wiper blades are worn out is that streaks will appear across the windscreen when you use them, usually paired with a squeaking noise. Check our full wiper guide here. The drain holes for the windscreen ought to be checked and cleared regularly. It’s vital to ensure they are clear of any dirt in autumn and winter. In autumn there is after all more chance for the drain holes to block up with dead leaves and debris. If the drain holes get blocked the windscreen scuttle will not be able to dispose of any water in case of rainy conditions. This could lead to leaks in the interior compartment of your car, and following on from that corrosion and an extra repair bill. Make sure to clear them timely therefore, check our guide for help. As the days are getting colder ensure the heater system in your car is working properly. The heater is not just there to keep you warm but will also help you with demisting and defrosting the window. Check that the heater is blowing warm air, and that all the different settings are working properly. If there’s little or no air coming out of the heater vents at all then that’s a sign there may be something wrong with the motor in the heater system. It’s important to get things checked and repaired now, before the problems get any worse in the winter. Here’s what to look out for. Each fluid has a specific way to check it, and some can be slightly complicated. For an explanation of how you can check the fluids in your car make sure to read our full fluids guide. Checking the output of the battery in autumn is good practice. You want to make sure that your battery holds its charge well, and is charging correctly. As the days will get colder your car will need more power from the battery to get the car started. If you’re not sure how to check the battery, or if you have the suspicion that there is an issue then get help from a professional. Check our full battery guide here. Resident classic car enthusiast and blogger at Clickmechanic.